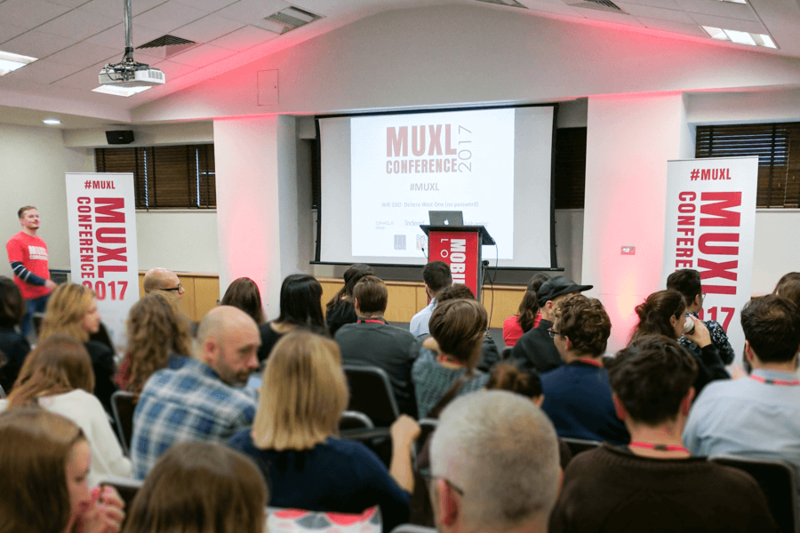 For three years, Mobile UX has hosted an annual conference, where a wealth of knowledge is shared by top thinkers and professionals in the tech industry. Mobile UX are themselves a group of specialists based in London focusing on UX, Design, Product and Mobile Development. As well as conferences, they host regular hackathons and are home to the Mobile UX Academy, where interactive courses are taught to equip anybody for the world of UX and UCD. This year the conference was held at Oxford Circus with an attendance of over 200 people and 17 top speakers. We joined the conference ourselves this year to listen to the inspirational talks. Expert speakers from the world’s leading companies; Airbnb, Trainline, Google, IBM, Samsung were all there, sharing their expert knowledge on User Experience design. Bamba & Sukhada Jog from Airbnb shared their insights in working on their ‘Host app’. Because users are much more inventive than we may assume, they shared, we must get past the first launch and gather feedback to validate & invalidate designs. And then they evaluate the impact to decide on its value to progress. 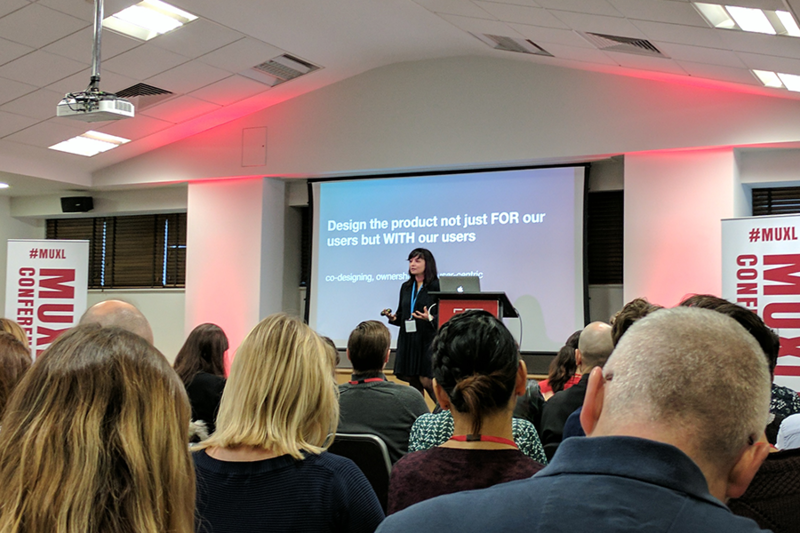 On top of user research and data science, they emphasised the value they had gained from user feedback. It brings valuable real life situations and experiences in to the product, but more interestingly, it makes the users feel they are a part of the product and that their voices are respectfully heard. Users who felt their voices were being heard were far more likely to become loyal customers. Even if their request is not applied to the product, the fact that someone on the other end listened and cared was enough to make them become long term customers. Julian Caraulani, Senior UX Designer at Samsung UK, shared his view on IoT and how it is unlocking new opportunities for designers to bring a whole new realm of tools and value into a product. In today’s day and age of exploding numbers of competitors, most of the brands that make it to the top seem to have some things in common. The key one being that they engage the users in multiple levels. It’s about creating that space of ‘behaviour’. According to Julian, this is the space where users manifest, which creates MEANING in a product. Designers were traditionally taught to iterate and iterate again. But IoT doesn’t require iteration. 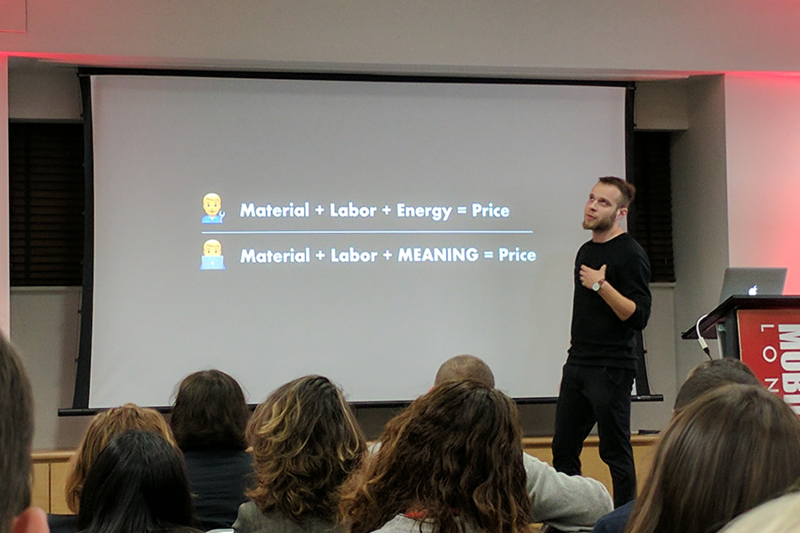 It brings new tools for designers to create something completely new that can help unlock the MEANING factor of a product.